Omar Silva, Ian Torres and Trey Mock all won gold medals at this week’s District 32-4A track and field meet at Rio Grande City. Silva won both the 110-meter and 300-meter hurdles races, Torres won the shot put event, and Mock also took first in the discus competition. 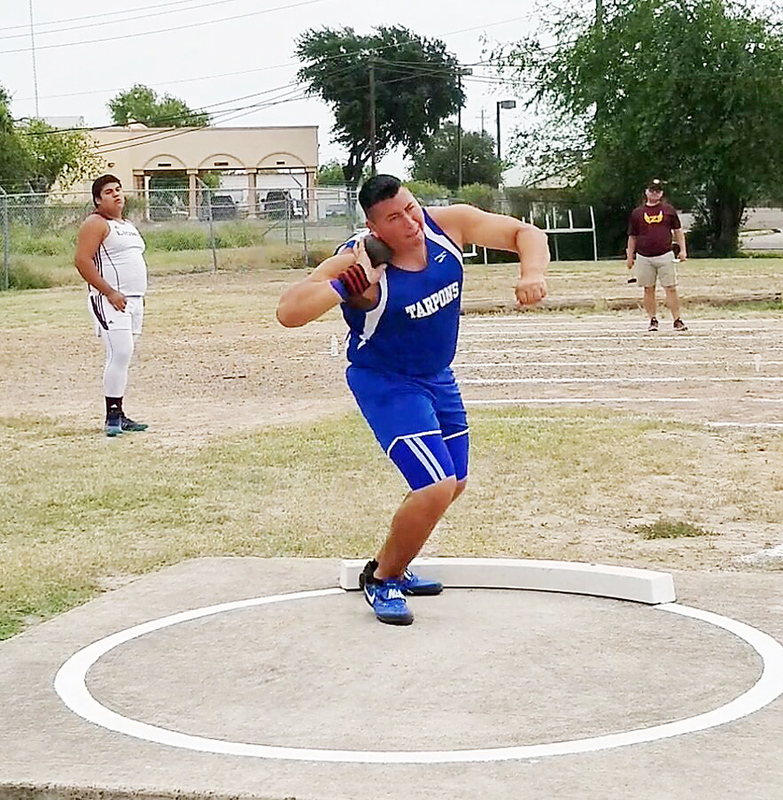 All three Tarpon athletes now advance to the area meet at La Feria next week. Also qualifying for area competition by placing in the top four in their individual events were Roy Suarez, Angel Cacho, Jason Lowe, Daniel Martinez, and Travis Camacho. The mile relay (4 x 400-meters) team of Jesus Montezuma, Juan Ramos, Jarrod Galvan, and Shawn Shrewsberry qualified with their fourth-place finish in that race with the time of 3:39.43.